I have a theory: that great writers, make dismal dancers. And the reason? It’s down to rhythm. Writers store it within, simmering like a hearty ragu, before releasing it in sentences to their obedient readers, whose eyes and minds tap along to the beat. If you want to be a great travel blogger, it’s less about being a great traveller, and more about learning to channel your rhythm. 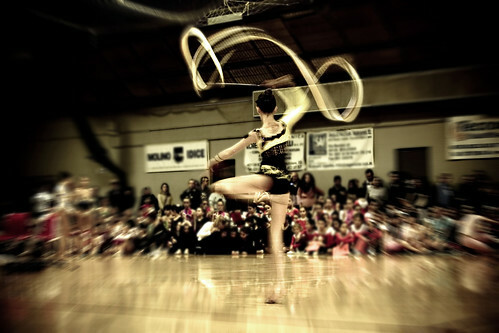 Imagine yourself as the most driven, focused, and competent rhythmic gymnast, commanding your pale ribbon through the tense air like a wisp of coloured smoke. One false move, and it’s a tangle of disappointment. Your readers will stumble awkwardly across the narrow beam of your sentence, and tumble helplessly into the blank surrounds, to the bitter echo of confusion. There’s a balance, which all aspiring writers should learn to master. Try too much, and risk entangling your readers in a stilted flow. Try too little, and risk releasing your readers’ attention via a flash of limp command. Throughout our lives, our environment dictates our rhythm. Some writers crave pure silence, to be able to tune into themselves. While others — myself included — prefer to use music to neutralise a wayward rhythm. For me, the music I choose is often without words, or in a foreign language. If I get to know the song too well, I start to sing along, and my rhythm melts into a thousand rivulets, poisoning my words and ways. Next time you begin to write, take a moment to tune into your rhythm, and learn to give into it. Am I talking codswallop? If you think so, go ahead and say so. Or perhaps something I’ve said has struck a chord? Lay it down, we could all learn something from you today. I as well as my guys were found to be reading the good solutions on your web page then all of a sudden I got a terrible feeling I never thanked the web blog owner for those secrets. Most of the people were definitely certainly thrilled to read them and have now absolutely been having fun with them. Many thanks for indeed being so thoughtful and also for obtaining this form of useful tips millions of individuals are really wanting to be informed on. Our honest apologies for not expressing appreciation to sooner. I in addition to my guys came examining the nice key points located on your web page then then developed an awful feeling I never expressed respect to the blog owner for those techniques. The guys are actually as a consequence excited to learn them and have in effect simply been having fun with those things. I appreciate you for turning out to be indeed helpful and for choosing some impressive tips millions of individuals are really wanting to be aware of. Our sincere apologies for not expressing gratitude to earlier. However, what concerning the bottom line? Are you certain conherning the source?
) I take care of such info much. I used to be seeking this certain information for a very log time. This is really great, small article but you covered essence of the of everything about dance. thanks for posting such amazing post. Hiyya very cool web site!! Guy .. Excellent .. Previous post: One Blind Summit. After. Another.